Skating socks from my brother. Taking winter clothes out of storage is a ritual for New Englanders this time of year as the weather turns cold. 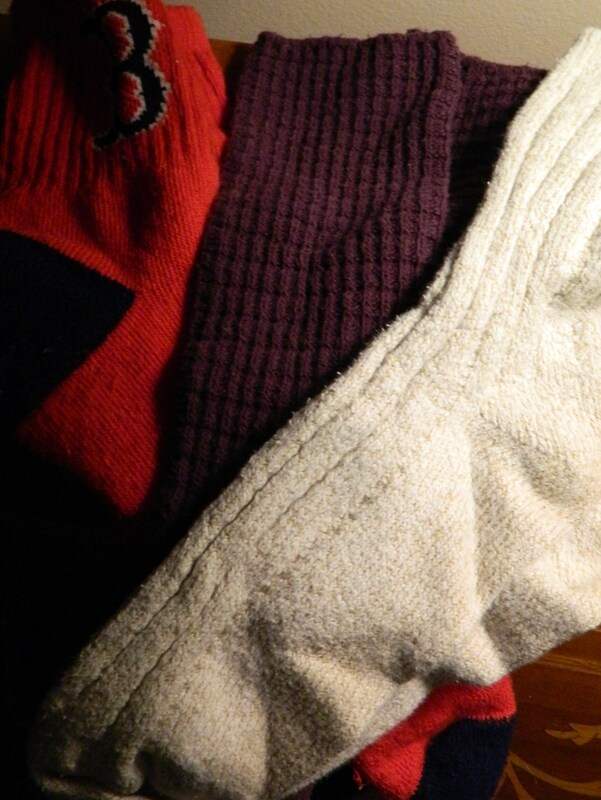 For me that includes pulling out an old battered Brooks Brothers bag stuffed with knee socks – and skating socks from my brother. Growing up my large family exchanged Christmas gifts among all of us. Somewhere along the way that subsided but my brother Glen Sr. was not comfortable with letting Christmas go by without gifts for his two youngest sisters – myself being one – actually THE youngest of seven children. So, under the tree every holiday was a box of skating socks from my brother. New Englanders know exactly what I mean but for those who may not – these are thick, soft, above the ankle high socks, most often worn with ice skates. Little did we know that we would we would lose Glen prematurely to cancer – the eleventh anniversary of his passing is October 31. With the coming of each winter I am reminded of Glen’s skating socks tradition. Each year close to Christmas, I add one pair to the collection myself – including a Boston Red Sox pair I know he too would have liked. Skating socks from my brother – an unintended legacy. I am sorry for the loss of your brother Glen, Jackie. The skating socks sound like a great Christmas tradition.